I was thinking about doing another Folksy post. Having just started selling myself I really want to support and appreciate all the good work that goes into handmade items. When you buy a handmade item, you don’t just buy something that is different from all this mass produced stuff, you buy something that someone has put a lot of time into and has cared about. To be creative, you have to be inspired and love what you are creating. Secondly, my little one (now over a year and a half) has just got into Elmer. I have to seriously read the book over and over again. I actually don’t mind as I really like the bright colours. It makes life more cheerful. So……(you can probably see where I’m going with this). 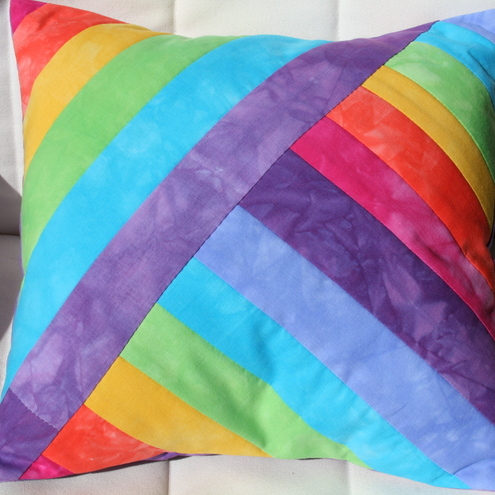 I’ve decided that this blog I would share with you my favourite rainbow patchwork lovelies. 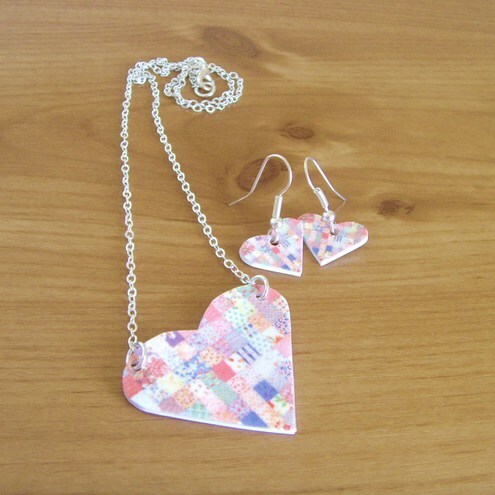 This sweet little necklace and earring set comes from Rainbow Rocks Jewellery. I really like the delicate patchwork effect. The perfect way to add colour to an outfit! I have to say that out of all the items here, this one is most ‘me’ as I’m sure my friends would tell you. Saying that, I really like the colours of this cushion from Ciesse Textiles. I think the rainbow strips of fabric have are very effective. Our house is very bland (painted white and highlighted with egg shell blue) as I have always preferred to add colour through pictures, soft furnishings etc. Wouldn’t this beautiful cushion be the perfect thing to cheer up a playroom or sitting room? 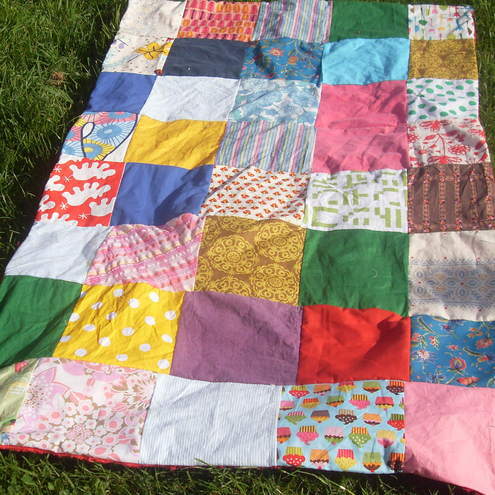 I absolutely love this patchwork quilt by Rainbow Fairy Dust – don’t you just want to throw it on the grass and have a picnic on it? I love the many different colours and patterns on each square. Like many of you fellow crafters, I enjoyed watching the TV series, ‘Kirsties homemade home’. In the first series she decorated an old house with mostly stuff she’d either made, was hand made for her or second hand gems she found (if you read my blog regularly, you’ll understand why I enjoyed it so much!). All that was really to say that I can imagine this thrown over a sofa. Sorry I have a really long way of getting to the point don’t I? I promise to try and do better! lol. Anyway, I have actually been making stuff but as almost all of it is for other people (and they mostly don’t know about it yet), you’ll have to wait to get a sneaky peak.